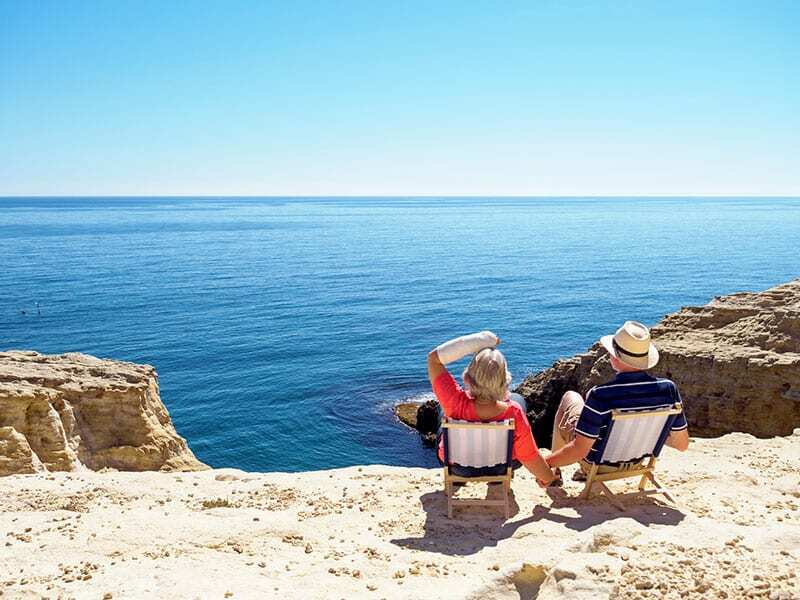 With all of that in mind, our retirement expert Dale Cooper compiled a list of the 25 Worst (and 25 Best) places to retire in 2019. Let’s start with the states you should probably avoid if you’re looking to retire in 2019. 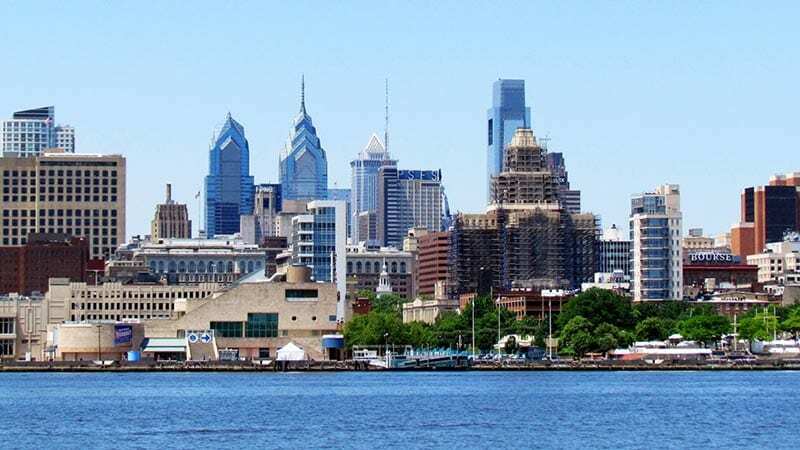 The Good: Delaware, that small mid-Atlantic state with dune-backed beaches bordering the Atlantic Ocean, Delaware River and Delaware Bay. The state welcomes hundreds of shoppers daily who revel at the tax-free registers! The Bad: The cost of living isn’t that cheap. If you choose not to live near the beach towns, the home prices in moderate neighborhoods are currently at $300,000 and rising. If you plan to visit one of the fancy beach towns (Rehoboth, Bethany, Dewey and Lewes Beaches) be prepared to sit in constant traffic. The Ugly: You will need at least one car to frequent the strip malls, supermarkets, restaurants and medical facilities, as there is no public transit in Delaware. Access and quality of the local health care system is mediocre at best. The Good: The crown jewel of Oregon is the city of Portland. 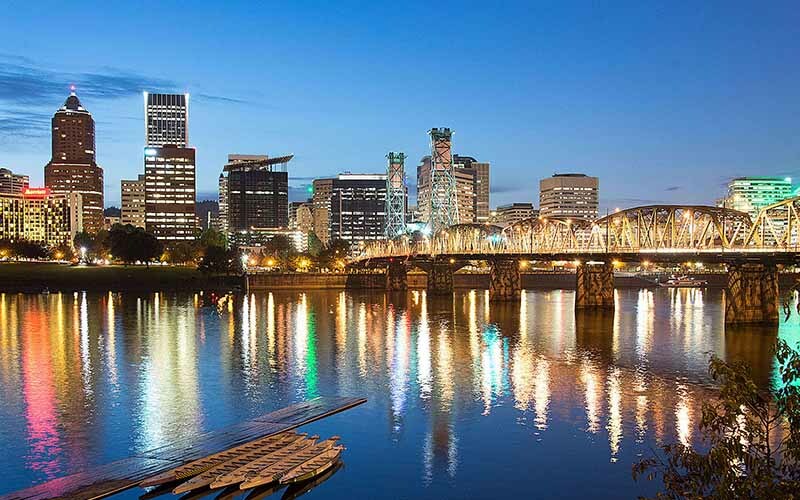 Known for its quirky, avant-garde culture and home to iconic coffee shops, boutiques, farm-to-table restaurants, art museums and microbreweries, Portland is the place to be. Shoppers you’ll be thrilled that there is no sales tax. The Bad: But Portland and other popular cities along the coast have seen a 7.5% increase is housing costs in the past year. The Ugly: If you relocate on the west coast of Oregon don’t forget to bring an umbrella, raincoat and boots. The average precipitation for the year is 200 inches! Unfortunately there have been extended periods of smoky skies due to the long-lasting forest fires nearby. The Good: California has a wealth of interesting and inviting cities. 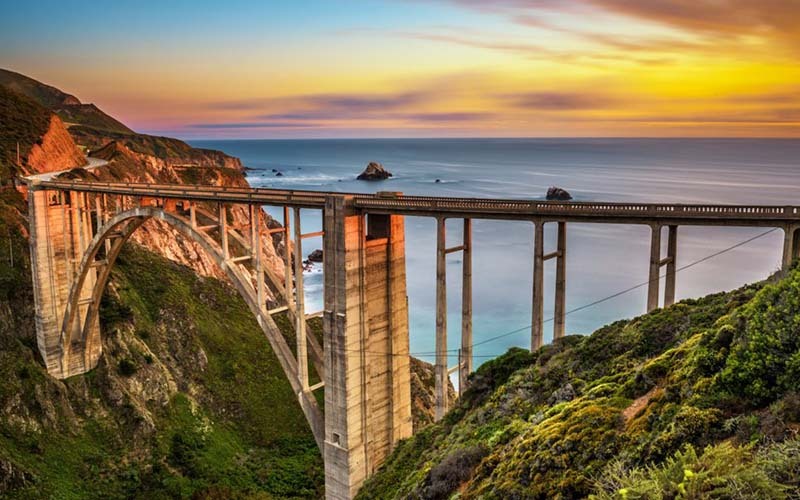 Enjoying an excursion to Napa Valley or Sonoma for wine tasting, hiking in Yosemite National Park and photographing the iconic vistas, cliffs and waterfalls and of course a spectacular ocean drive down the Pacific Coast Highway. The Bad: It’s a great state, but you certainly don’t want to retire here. California has the second highest cost of living expenses in the U.S. The state’s sales tax is the highest the country and other tax burdens will drain your retirement dollars. The Ugly: In 2019, California wildfires have ravaged more than 1.2 million acres, destroyed more than 1,200 homes and killed at least a dozen people, according to the Los Angeles Times. The Good: Michigan residents can enjoy the natural beauty of the states wilderness trails and explore the epic Dow Gardens with the longest canopy walk in the nation. 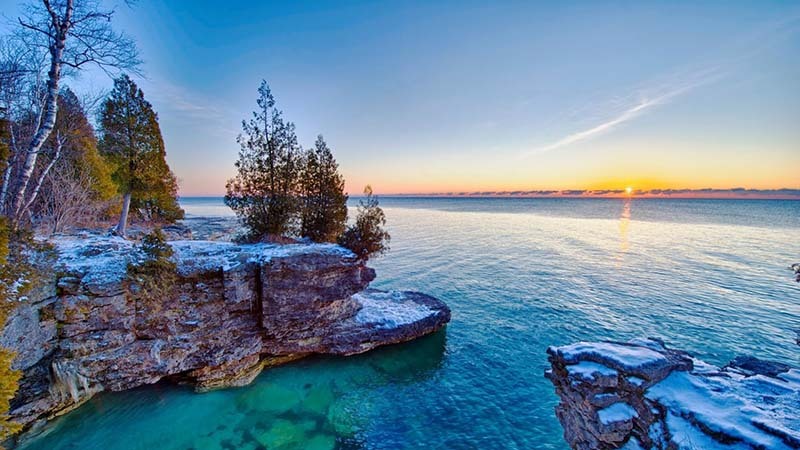 The state’s coastline offers tons of outdoor fun as it welcomes four of the five Great Lakes on its borders. The Bad: The downside for retirees that choose to reside in this state are the long and dangerous winters. Have you ever heard the term “lake-effect snow? Well, the short version is the Great Lakes have a higher intensity for heavy snowfalls. In some years, meteorologists have recorded more than 100 inches of snow in a winter season. The Ugly: So pack your shovels, dodge the potholes and be prepared to pay a premium for car insurance! If you’re thinking of using public transit you will be disappointed. It is underfunded and underdeveloped. The Good: Country music fans will have a grand old time relocating to Tennessee. 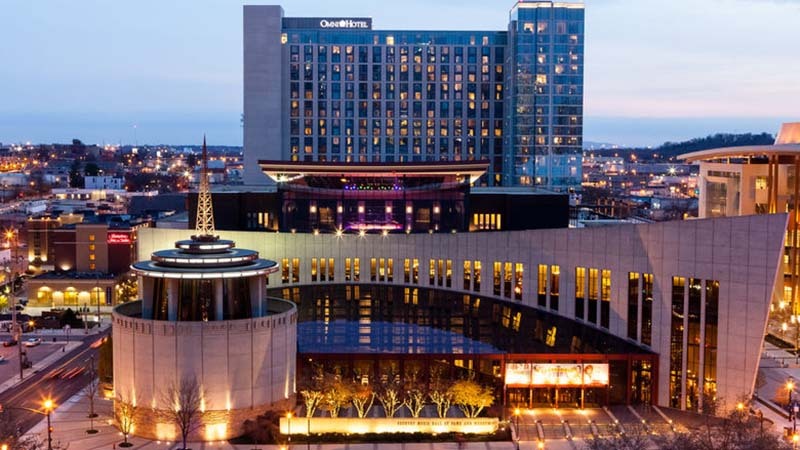 The heart of country music, the Grand Ole Opry and the Country Music Hall of Fame are nestled in Nashville. Take a short drive to the southwest to visit Elvis Presley’s Graceland. With savings and a good pension, you can enjoy a secure retirement here. The Bad: The downside is Tennessee’s health care as it is in shambles. The lack of federal health care funding and increased costs of medical procedures has resulted in a reduced number of hospitals. The Ugly: Crime is also a problem if you live in Memphis, the fourth most dangerous city in the country. Maybe the plan should be to settle near the Great Smoky Mountains and enjoy the local wines and whiskies. The Good: Illinois offers seasonal adventures year-round. 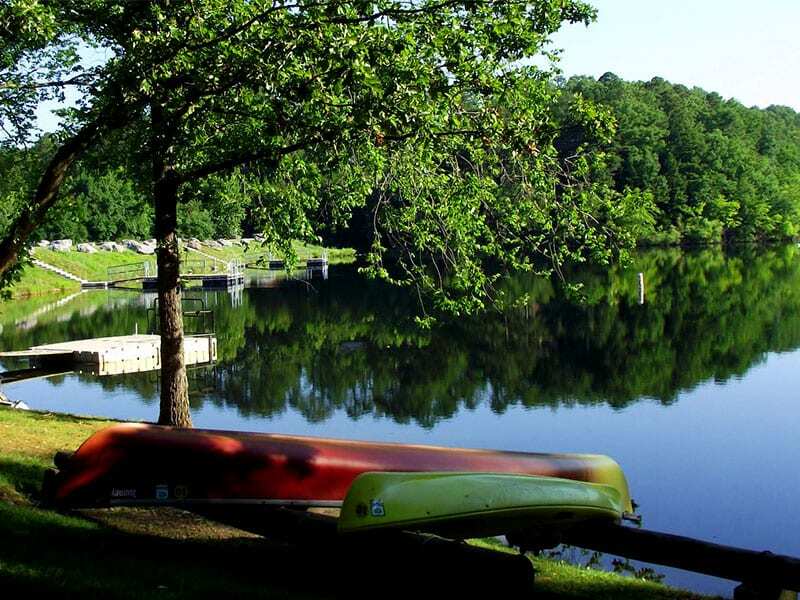 There are magnificent state parks, miles of hiking and biking trails and rivers to explore. The suburbs are surrounded by farmland, which means plentiful farmers’ markets with organic produce in the summer and fall. The big attraction is “the windy city” of Chicago. 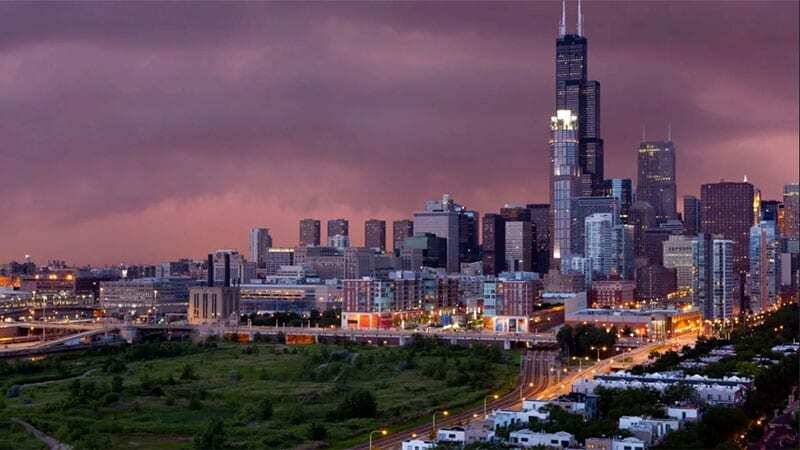 With towering skyscrapers, music festivals, world-class restaurants and access to Lake Michigan — Chicago is a lively place to be. The Bad: The downside is the states tax base. Although senior citizens receive an annual rebate, the property taxes are hefty and can significantly drain retirement funds. The Ugly: It’s no secret that Chicago isn’t exactly the safest place. The city’s overall crime rate, especially the violent crime rate, is much higher than the US average. The Good: Best known as the peach and peanut growing state. 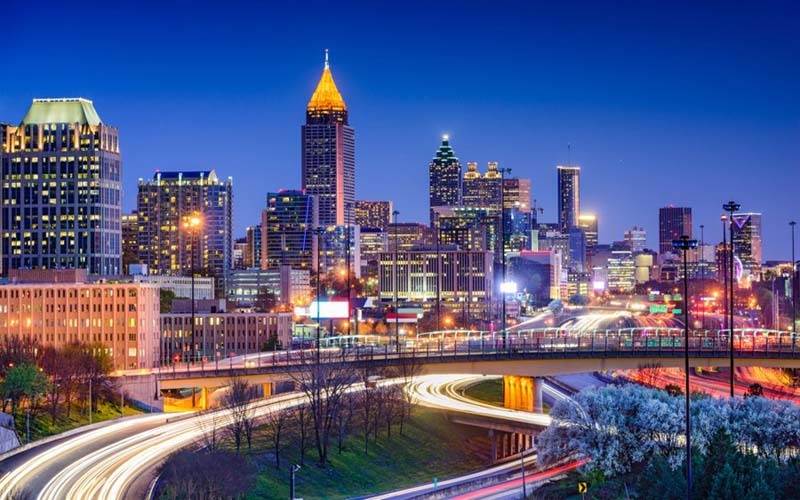 Georgia offers urban city amenities in Atlanta, beach towns, mountains and lakes to explore. 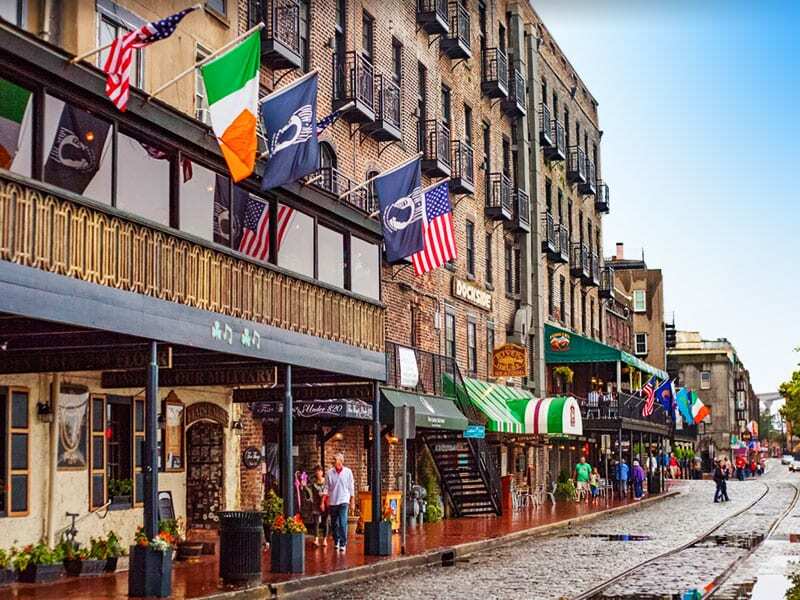 Savannah will dazzle you with is famed 18th and 19th century architecture and is vibrant public parks. Annually, April brings the Masters Golf Tournament to Augusta. The Bad: Over the last two decades suburban neighborhoods have been expanding rapidly causing traffic congestion in Atlanta that matches Los Angeles. This has created a serious smog problem. The Ugly: The cost of medical care is comparatively low in Georgia. However, their health care system is struggling with funding problems resulting in several hospitals shutting down emergency rooms or closing the entire hospital. Neither scenario is comfortable for retirees, who often prioritize top-notch medical care over other “amenities”. The Good: Sweet Home Alabama! This southeastern state is home to white sand beaches, beautiful lakes and rivers and red-clay hills. Avid golfers can save private membership fees by teeing-off at the numerous and well maintained public golf courses. Your savings will go farther here since they have a very low cost of living. The Bad: If you do choose to retire to Alabama, make sure your home has a shelter where your family can stay safe during the peak tornado periods. The Bad: Alabama also has a long and ongoing history with racial and gender discrimination so you may want to look elsewhere if diversity is what you are looking for. 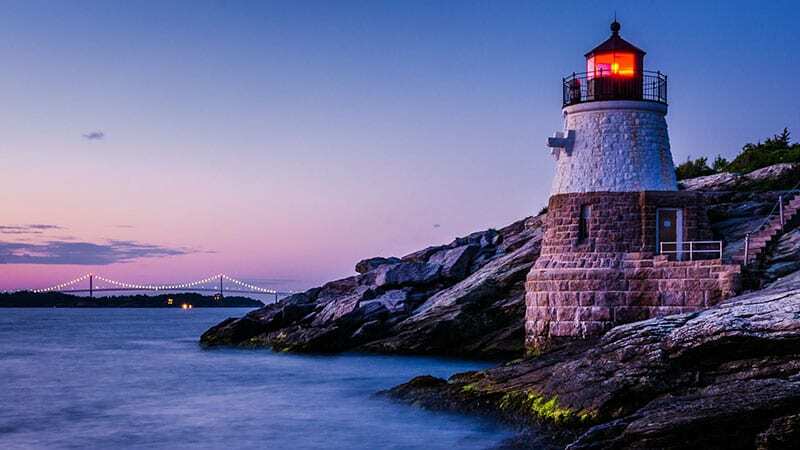 The Good: Connecticut is a picturesque New England state with a mix of coastal cities, small towns, rural areas and magnificent lakes. Mystic Seaport Aquarium and Museum are two must visit destinations. The Bad: The high cost of living might dissuade people from retiring in Connecticut. Residents pay both hefty state income taxes and high local property taxes. The Ugly: The state is in a budget crisis as many large companies such as General Electric and Aetna have relocated, resulting in a huge loss of financial contributions to the tax base. Retirees can expect to see escalating tax bills during their golden years. The Good: Looking to retire to a state that has a four-season climate? 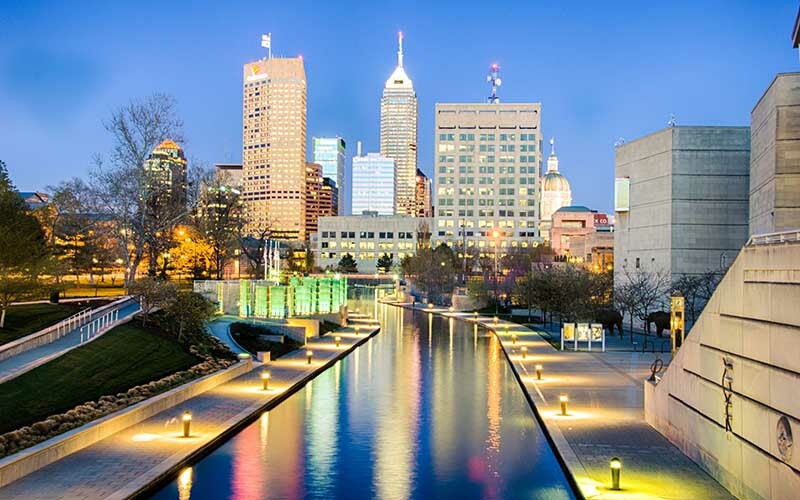 From May through October, Indiana has festivals for everyone! For retirees the state doesn’t tax social security benefits and the property taxes are relative low, which is great news for those on fixed income. Music lovers can attend blues, country and jazz concerts. 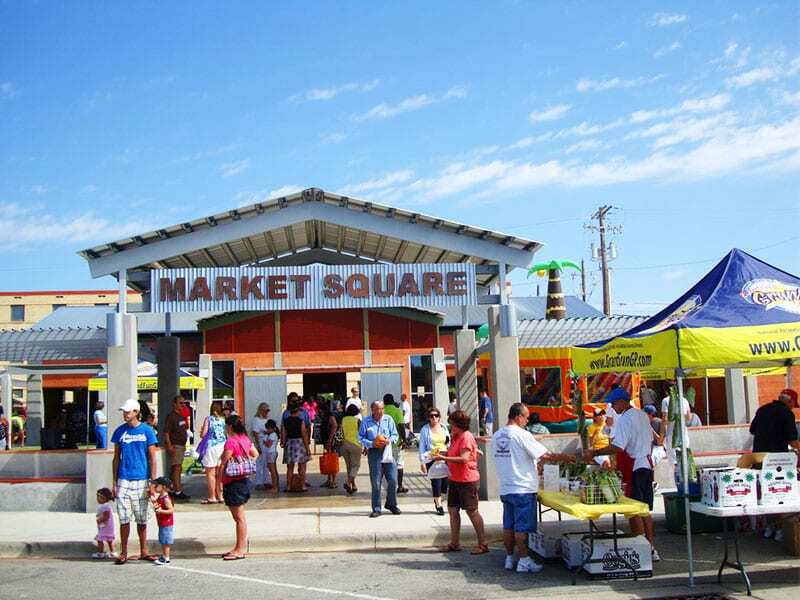 County fairs, flea markets and art shows can be found countywide. Racing enthusiasts will want to head to the Indy 500 in May. The Bad: Indiana is home to tornado alley! The Ugly: The EPA reports that Indiana is one of the worst water polluting states as its industries release toxic chemicals into the water. 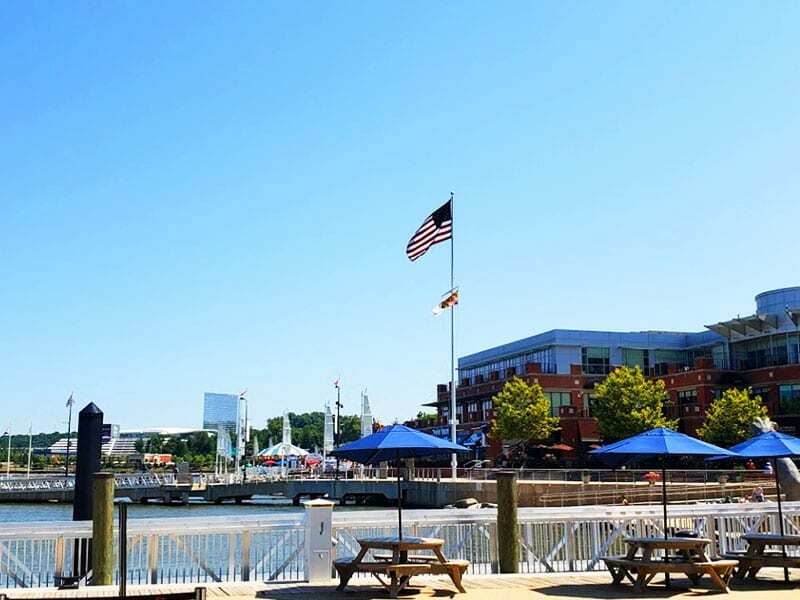 The Good: This Mid-Atlantic state has a lot to offer tourists from the Ocean City Beaches and amusement park, to the Chesapeake Bay lighthouse and Maritime Museum and the Baltimore Harbor and National Aquarium and Science Center. The Bad: Retirees should be cautious about relocating to Maryland. The state government has high taxes and recently increased the gas tax and inheritance tax. The Ugly: Housing prices in safe neighborhoods are steep and living near the coast could wipe out your savings when you’re charged a premium for flood insurance. The Good: Road Trip! Home to the birthplace of the blues, the Mississippi Delta is a region filled with places to explore. Residents of Mississippi endure long hot, humid summers and are rewarded with warm temperatures, averaging 50 degrees in the winter. The Bad: There is little to no snowfall, but late summer and early fall always bring a risk of damaging hurricanes. The Ugly: Mississippi is among the states with poor health care quality being strained by the high obesity rate and epidemic numbers of opioid users. The Good: Oklahoma offers a diverse landscape with expansive plains, hills, lakes, forests and 33 state parks. 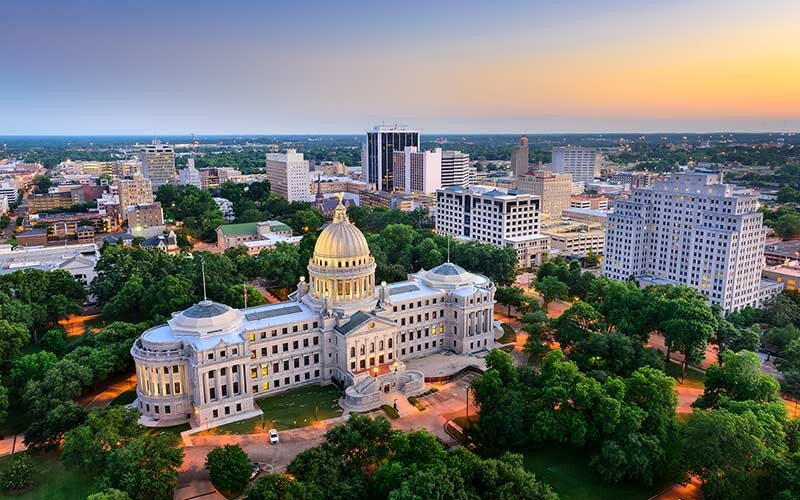 This state has a mixture of western history, Native American culture and Southern charm. 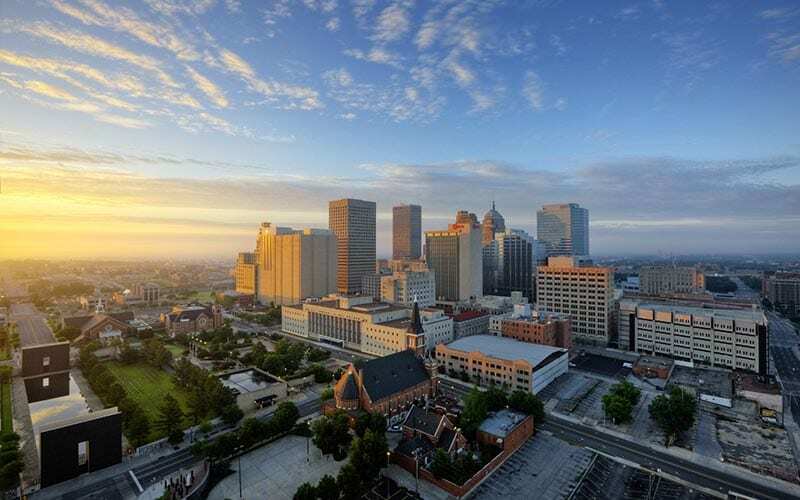 Oklahoma City and Tulsa offer city vibes and a slower paced lifestyle. Storm chasers are sure to frequent Oklahoma since it is infamously part of Tornado Alley. The Bad: The housing and taxes are affordable, but seniors should be concerned that the doctors setting down roots in Oklahoma are decreasing. The Ugly: You can expect battles with Mother Nature from March to May. As a result, the roads and bridges are in need of major repairs Unfortunately, these type of expensive infrastructure projects are usually paid for by increasing taxes for local residents. 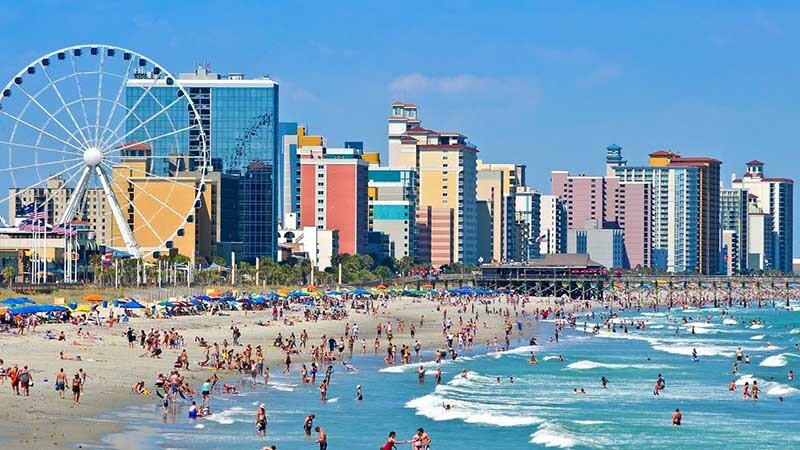 The Good: You may be looking forward to teeing off at one of South Carolina’s plush golf courses or soaking up the sun at Myrtle Beach. Maybe you’re looking for a slower paced life in a southern city like Charleston. If you have a good retirement income and South Carolina’s small town appeals to you, then you can find some safe and affordable homes in suburban neighborhoods. Before you make the decision to retire here, there are some issues to consider. The Bad: The cost of living in South Carolina is more than 7% lower than the national average, but so are the salaries. This results in unequal access to health care in a state that is already ranked in the top ten for obesity. The Ugly: In recent years South Carolina is among the worst states for violent crime. 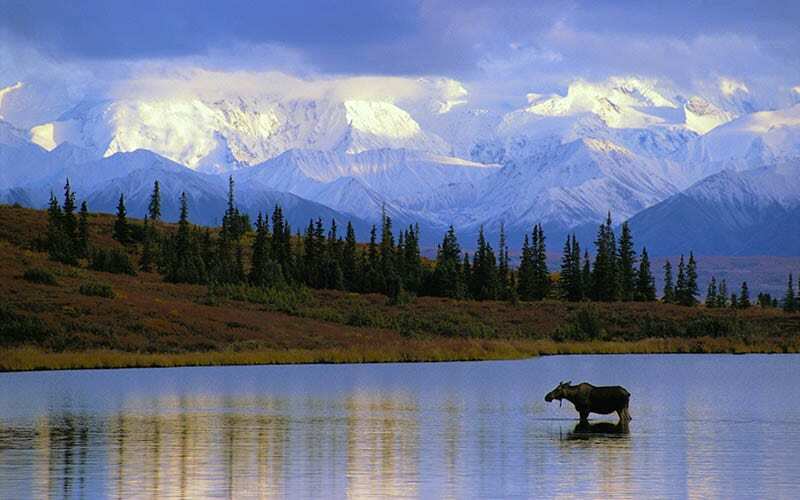 The Good: There is no denying that Alaska has some of the most breathtaking wilderness areas and wildlife viewing in the country. Where else can you go fishing, hike to see a glacier up close, eat reindeer steaks and see moose wandering around like feral cats? Alaska is perhaps the vacation of a lifetime, but it’s probably not the place you want to spend your golden years. The Bad: The cost of living in our 49th state is very high, since almost everything except wild game must be flown in from the continental US or other countries. The Ugly: Healthcare is very expensive, with most residents choosing to fly to Seattle for non-emergency operations to save big bucks. The Good: New Mexico bills itself as “The Land of Enchantment” and while that might be true for visitors, it’s anything but enchanting for retirees. The Bad: Housing is very expensive, especially in large cities like Santa Fe, where the average housing cost is 20% above the national average. 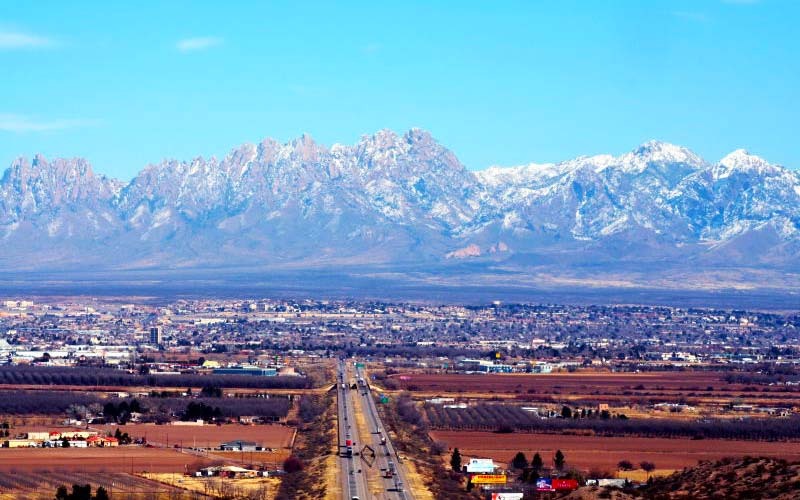 The Ugly: Beautiful Las Cruces, known for its festivals and abundance of chili’s, has some of the highest violent crime rates in the US. The Good: Rhode Island has so much to offer at first glance; beautiful beaches in the summer, white winters for the holidays, not to mention the seafood platters that are too good to ever pass up. The Bad: High taxes and cost of living leave this state out in the lurch. Rhode Island has some very nice cities, such as Newport, that are ridiculously expensive… and other cities, such as Providence, which offer a lack of anything even remotely entertaining. The Ugly: As small as it is, this state has some of the highest electricity prices and the worst transportation system in the country. The Good: What does the word Kentucky bring to your mind? Whiskey? Blue grass? Horses? All of those and the tax breaks this state offers retirees make this state sound appealing but hold your horses! The Bad: Before you consider this state to spend your retirement years, consider that health care costs for the average retired couple are some of the highest in the country. The Ugly: Most of the state has devastating levels of poverty, leaving most of the state without much to offer seniors. So, while the overall cost of living and taxes are very low, think twice before committing yourself to this state, especially if you have serious health issues. 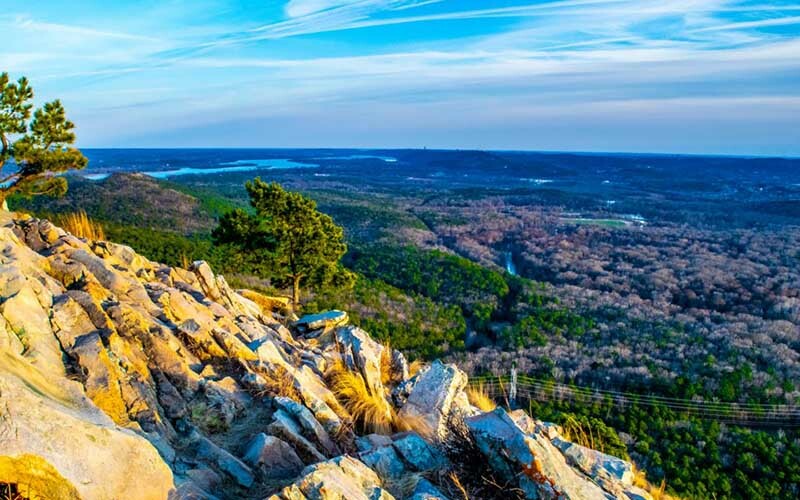 The Good: You might hear people who have visited Arkansas gush about the beautiful hot springs and miles of unspoiled natural beauty, but there are a few things to consider first before you make that retirement move. The Bad: First, while the state does have a very low cost of living, it’s been rated by some groups as being the absolute bottom of the barrel when it comes to quality of life. The Ugly: This might be because of the very high crime rates and horrible summer humidity, which brings with it hordes of mosquitoes. If you own stock in companies that sell air conditioners or bug spray, this state might be perfect for you. Otherwise, take a second look. 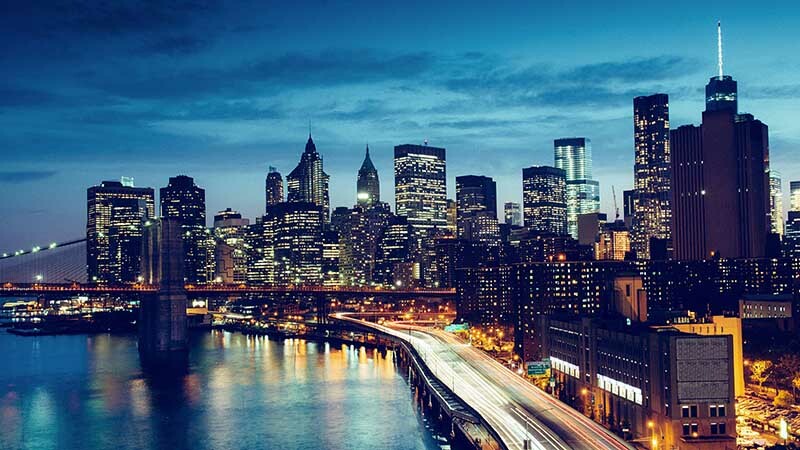 The Good: New York is one of the most exciting states you will ever want to vacation in, but it might be dead last when it comes to retiring there. The Bad: First, no matter where you live, the cost of living in this state is at least 29% higher than the national average. The Ugly: If that weren’t bad enough, it ranks next to last when it comes to lists of quality health care and quality of life for seniors. Consider making New York a vacation destination, rather than a retirement destination, unless you have plenty of cash lining your pockets. 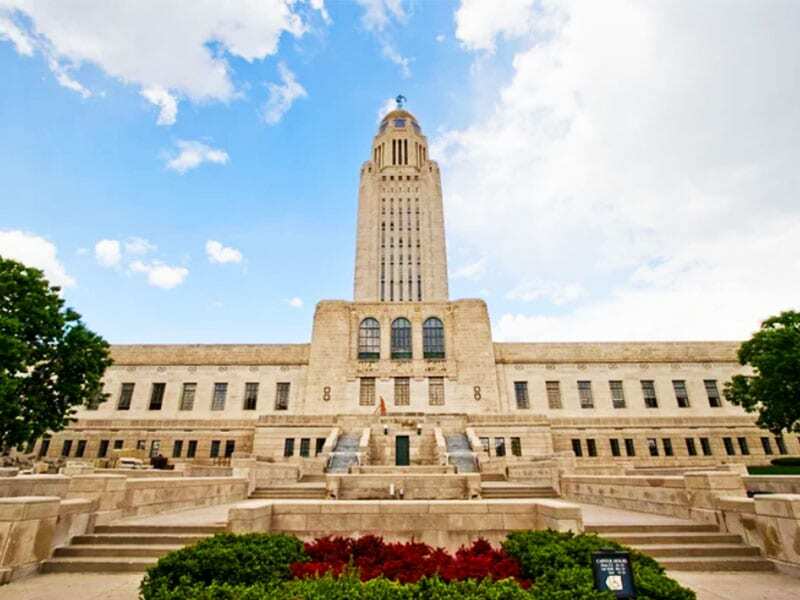 The Good: This state is another vacation must see but the super high cost of just about everything will put a real damper on most retiree’s budgets. The Bad: The islands must have almost everything, even basics like toilet paper, flown in from other locations. As you would imagine, that makes the prices of everyday goods significantly higher than most places in the country. The Ugly: Hawaii also takes first place when it comes to the highest gas prices in the US. 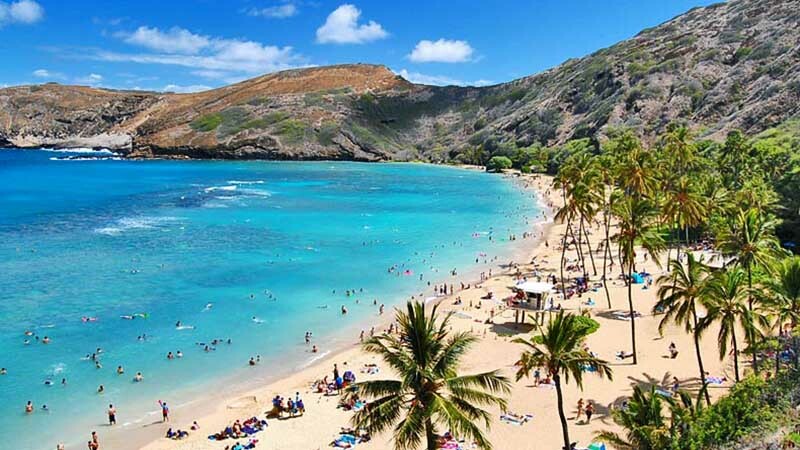 There are beautiful beaches, mountains, and volcanoes to be sure, but the very high prices, continual influx of tourists, overcrowding and volcanic smog make this a nightmare of a place to retire for most people. The Good: Remember John Denver’s song Take Me Home Country Roads? Denver crooned that it was “almost heaven, West Virginia” and this was most likely because he didn’t retire there on a fixed income. This pretty state is known for whitewater rafting, charming old -time cities like Charleston, and with a cost of living running 3% below the national average, it sounds like a great retirement state. The Bad & The Ugly: However, the state has very high healthcare costs, and extremely high crime rates. This is most likely due to the poverty that affects most cities due to the closing of coal mines. West Virginia has a lot going for it, just not for retirees. 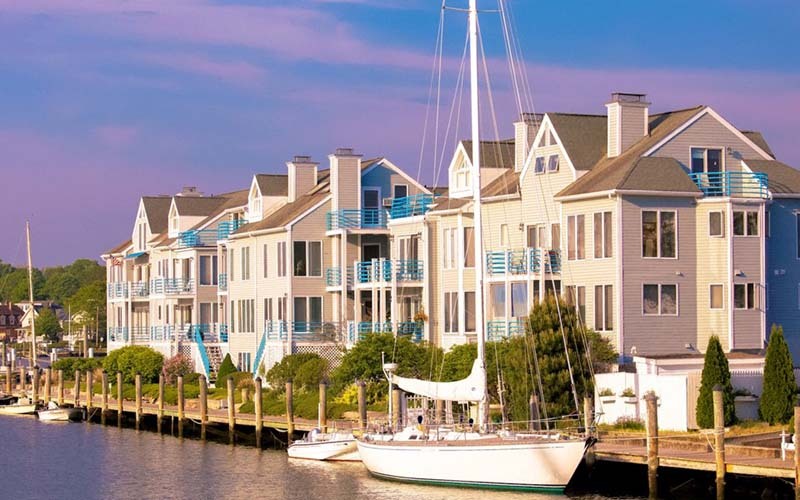 The Good: Anyone who has visited New Jersey knows that the Garden State has some seriously charming little towns and fun beach cities, but unless you are living to golf every day, this state doesn’t have much else to offer retirees. 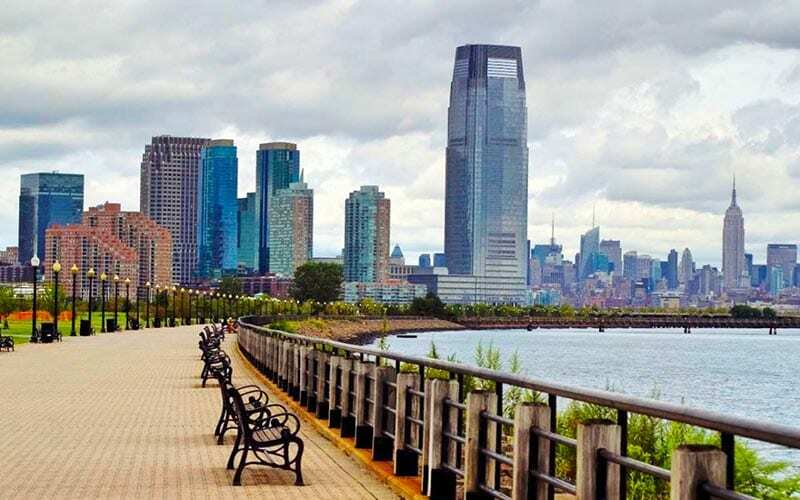 New Jersey has the second highest state and local tax rate in the US. The Bad & The Ugly: It also boasts some very high prices when it comes to real estate, with the average house price hitting more than $311K! The cost of living in this beach state is 22% above the national average, which can leave many retirees out in the cold. The Good: Howdy! 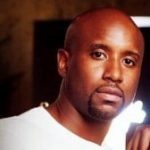 Are you comfortable with the western look? Then pack your cowboy hat and boots, leather belt and worn in blue jeans. Bring your appetite to plenty of barbecues, feast on fried goodies and top off your meal with a visit to a Blue Bell Creamery for family made ice cream. The varying landscapes of Texas offer trips to coastal plains, prairies, lakes, deserts, the famous Rio Grande River and refined cities like Houston, Dallas and Austin. The Bad & The Ugly: Seniors looking to retire her should be aware of the state’s health care issues. Texas has the third worst physician to patient ratio in the country, with access to specialized care being difficult. Nursing homes are poorly staffed and they hold a record for having the most concerns called into a hotline. The Good: We don’t want to pick on Louisiana, but let’s be frank about a few things, shall we? While the incredible music scene and food are something everyone should experience, living here leaves a lot to be desired. The Bad: With Category 4 and 5 hurricanes making regular appearances every summer, not to mention the suffocating humidity, the weather is not something to crow about. The Ugly: Louisiana has a high tax rate of almost 10% and the second highest crime rate in the US. Let’s not forget alligators and a pathetic health care system. This state has a great deal of southern charm, but charm won’t pay the bills for retirees. 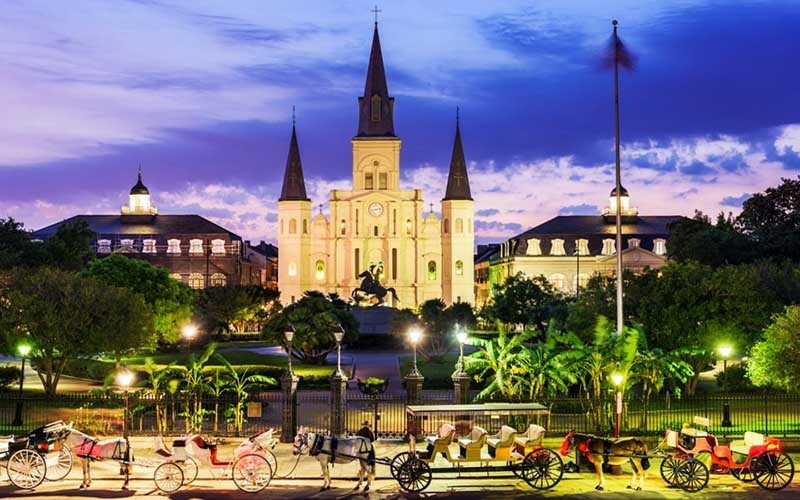 Now that you’ve learned a little about the states we recommend you avoid, we would like to end on a positive note with a detailed list of our 25 favorite places to retire in 2019. Whether you’re thinking of moving or retiring in the very near future, you are most likely wondering how to get the most for your money. Of course, what suits one person certainly won’t work for someone else. If you hate snow, then you won’t be interested in our pick for #10 on this list of best retirement cities, however, for those who love a change of season, this small town might be perfect for you. Without further delay, here’s our list of what we think are 25 of best wallet friendly and all-around great places to live or retire to in 2019. We can already hear some of you saying “Seriously? !”, but to be honest, this small town of only 128,000 has a lot to offer. Like almost all cities in America, Cedar Rapids has some rush hour traffic issues, but for the retired set, who cares? There is very little traffic other than during typical work time rush hour. With an average income of $53,000, housing is inexpensive, with an average 2-bedroom apartment going for $729 per month. Yes, winters are cold, and summers are hot and humid, but if you love to see the seasons change, you will find plenty scenery here for that. 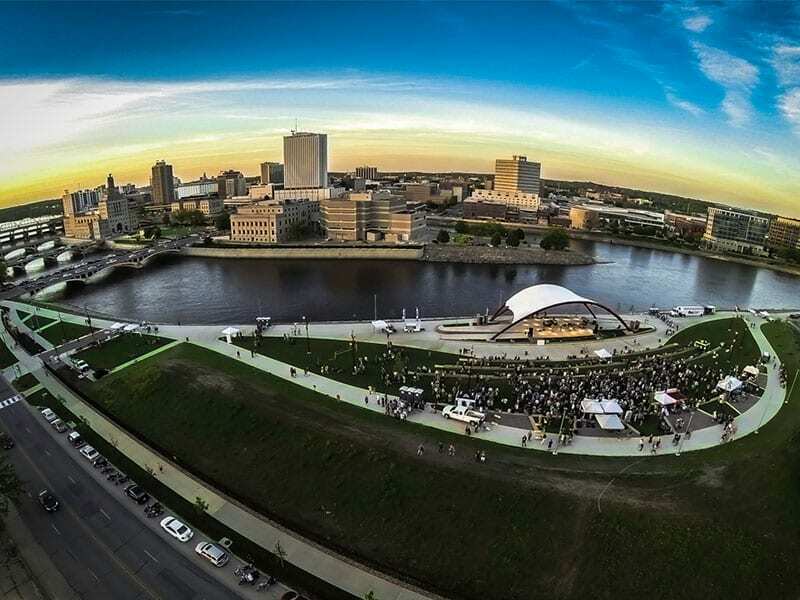 Iowa has a 6% state tax rate with the county charging an additional 1% tax rate, making taxes a modest 7% and with 16 healthcare centers, you can rest assured that you will have easy access to medical care without leaving town. For those who love the sun, you can’t beat Las Cruces. It’s a comfortable 60 in December and January during the days, but still chilly enough at night (average of 29) to enjoy those bonfires! Summers are hot, usually in the mid-90’s, but comfortable enough at 63 in the evenings that you can sleep without the A/C! Las Cruces is a small town of 100,000, with many of these being college students from New Mexico University. This hasn’t raised rents, however, with an average 2-bedroom apartment going for only $668 per month. The combined tax rate is 8.31%, but cost of living is very low, with the median income only $41,000. This small town boasts an incredible 18 large healthcare centers, making healthcare easy to access. This is another small city that most people have never heard of! Richardson boasts a very low crime rate and a population of about 100,000. It might be a bit more expensive than other areas we mentioned, with an average income of $72,000, but the beautiful, upscale homes make for pleasant surroundings. The tax rate is a reasonable 8.25% and the average 2-bedroom apartment rent about $1,400. If you like it warm, Richardson will give you plenty of sunshine, with average summer temps in the mid-90’s and comfortable evening temps in the low 70’s. Winters are a warm 58/37, so don’t plan on growing anything that needs to freeze! Did we mention that this small town has at least 15 medical centers and 3 hospitals right in town, so you never need to travel far for health services. You might think that Las Vegas is only about gambling, but that’s only half of the story. Las Vegas has tons of retirement friendly housing! The average 2-bedroom apartment goes for only $1,000, the average price of a 1350 square foot housing averages $260K. 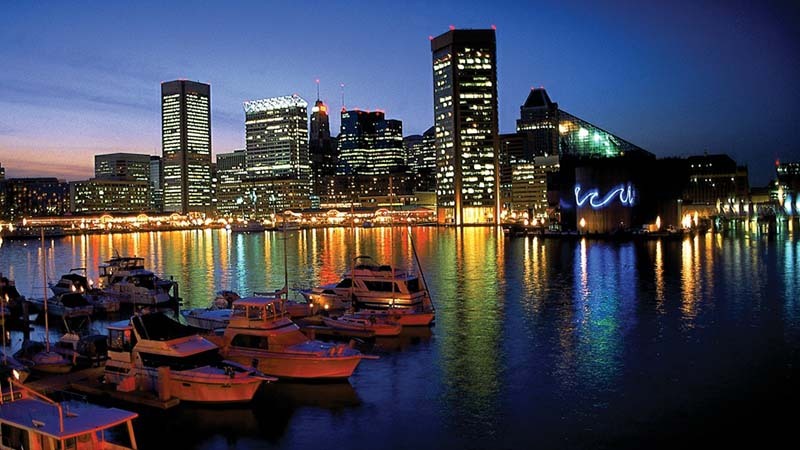 This city isn’t only for rich gamblers, in fact the average income is only $58,000 and the tax rate only 8.25%. 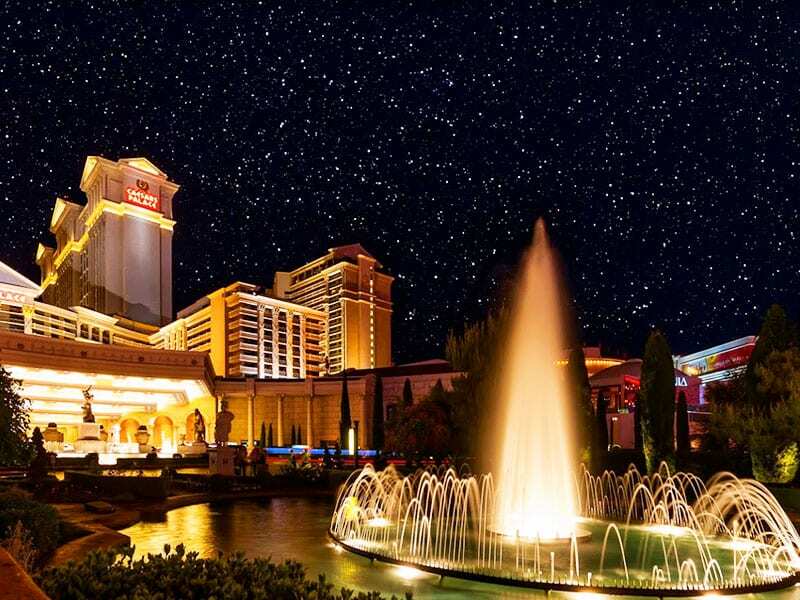 If you hate the rain, Vegas is right up your alley, with only about 12 days of measurable rain every year! It does get hot in the summer, however, with average temps of 105/79. Winters are very mild with daytime temperatures in the low 60’s and nights in the upper 30’s. Las Vegas is a medium sized town of about 632,000, which means that it has more than 10 hospitals and an untold number of health care clinics, so you have easy access to medical care. College towns somehow tend to remain small and friendly and Bethlehem is no different. This small town of only 75,000 does not tax certain retiree pensions, no matter how big they might be, making this town very retirement friendly! The state sales tax isn’t bad either at only 6%. The average rent for a two-bedroom apartment is a mere $1250 and housing prices average only $150k! 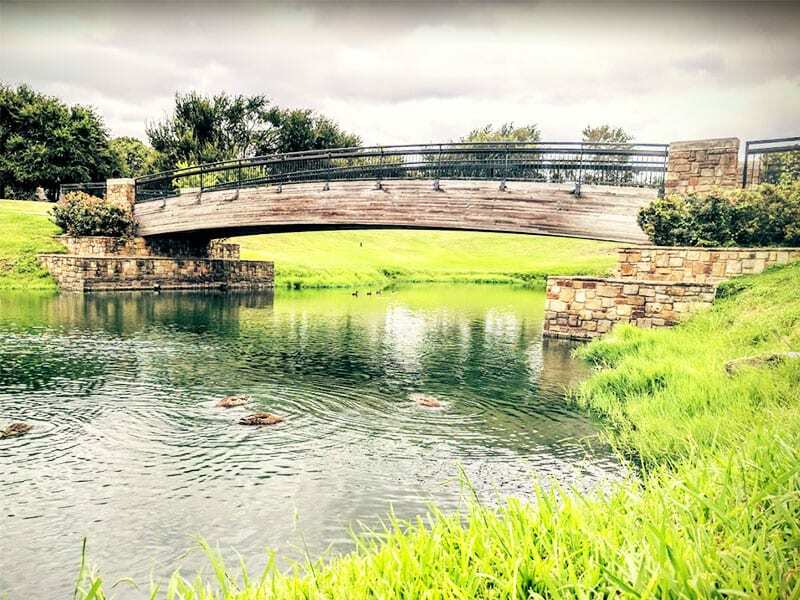 Most people can live (comfortably) in this retirement friendly town for less than $40K a year! It can be cold in the winters and muggy in the summers, with average temps in July in the mid-80’s and 8 average days of rain, and January averaging temps of 36/20, but when you are retired, who cares? Healthcare gets a big plus from us as well because even though the population is small, there are more than 10 hospitals and numerous health care centers to choose from. Oh, that small town Southern charm! Athens has a small town feel with only 120,000 residents and the tree lined streets make it seem like a page out of time. This town has numerous locations listed as Historical Sites, but the number of retirees is actually quite small. With plenty of golf courses, state parks, and more than 10 local hospitals, Athens is the place for the active retiree! This beautiful little town boasts a low cost of living index and an average income of $33K, which makes housing very affordable. The average 2-bedroom apartment is $1250 and the average home price $171K. Taxes are reasonable as well, at a tiny 4%, but it’s the weather that gives Athens the extra boost on this list. Average July temps are in the upper 80’s but cools down to a nice 70 or so in the evenings. Winters are chilly at 53/33 but since it rains at least a few days out of every month, you get beautiful greenery almost all year. 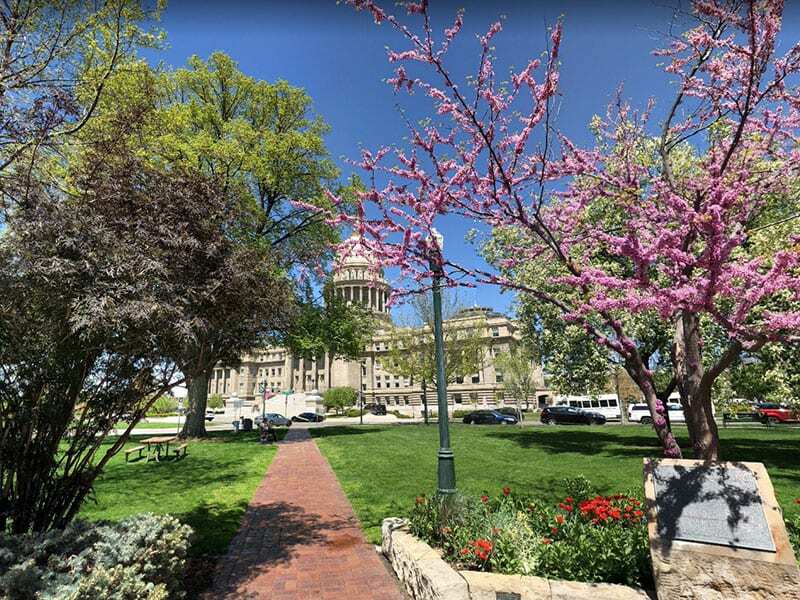 You might think Idaho is all about potatoes, but Boise is nicknamed the city of trees! This is because, like Athens, it rains here at least 1 day every single month. Temps make the nearby mountains a breathtaking site at the change of seasons. In July, you can count on highs in the upper 80’s and comfortable nights at about 60. Winters are cold, averaging 37/23 in January, but that just means that it’s time to take up skiing. This is a medium sized town of about 223,000 residents, but an average income of $29,000 and a tax rate of only 6% means the cost of living is a dream. Rent on the average 2-bedroom apartment is $1,000 and housing prices vary from $162-$263K. Like most larger cities, Boise has more than 10 hospitals in town, so healthcare should be in your neighborhood, no matter which part of town you choose to call home. Are you thinking of Gone with the Wind? This town truly boasts old time charm and grace, as well as being called one of the most beautiful cities in America. Savannah is a popular tourist spot due to its numerous public squares and historical places. It’s also popular with retirees. While some might find the weather a bit wild, with summers hot and humid and winters wet but mild, many people believe Savannah has perfect temps. The average income is a modest $51K and housing is very affordable. Home sale prices average $104K and rent on a 2-bedroom apartment is $1200. This is a growing town of 146,000 is graced with more than 10 hospitals and numerous healthcare centers. The tax rate is 7% so most retirees find they can have their peach pie and eat it too. Yes, Dorothy, you might want to return to dusty old Kansas once you visit Lawrence. 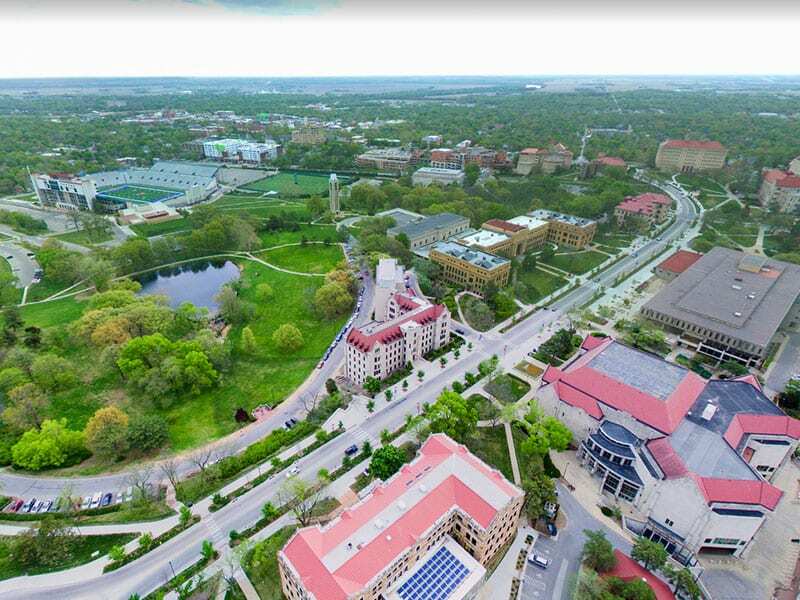 This is another small-town college community with fewer than 100,000 residents, but unlike the majority of Kansas, this tree filled town will win you over. Imagine no snow in the winter and very warm summers – you get both in this pretty little place. With an average income of only $26K a year, Lawrence is one of the most inexpensive places you could park your horse. Rent on the average 2-bedroom apartment is $830 and average home prices are less than $200K. Sales tax is a bit high at 9% but the low cost of everything else more than makes up for it. There are more than 10 hospitals in this tiny town, so healthcare is not an issue. It does rain here, however, at least a few days out of every month, but that’s what keeps it so green and gorgeous. Temps in January average 40/21 and July Is a very warm 90/71, but no snow gives this town a little extra plus in our book. If you want privacy, small town life and true country living, this little charmer might be just the ticket for you. With a population of only 8,000, you will get well-acquainted with everyone in your neighborhood fairly quickly. 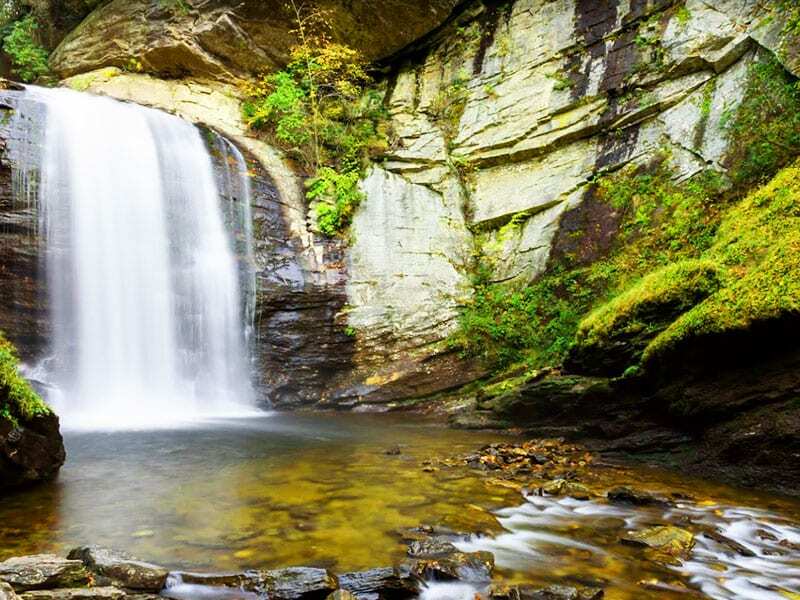 Many refer to Brevard as the town of waterfalls and if you love hiking, you can get plenty of it in the mountains that surround you. The average age here is 45 so seniors should feel right at home. Cost of living is low, with the average income only $38K. You can find a 2-bedroom apartment for about $1,000 and the average housing price for a 1400 square foot home is $122,000. The sales tax is a reasonable 6.75%. There is one large medical facility and hospital in Brevard, but with only 8,000 residents, this shouldn’t be an issue. In addition to the low cost of living and outstanding recreational features, it’s the temps that really put Brevard on the map. Summer temperatures average 83/61 and even winters are mild at 49/25 in January. We can’t stop thinking that this little town will probably grow substantially once people discover it! The name alone is enough to make you want to breathe in deep, right? 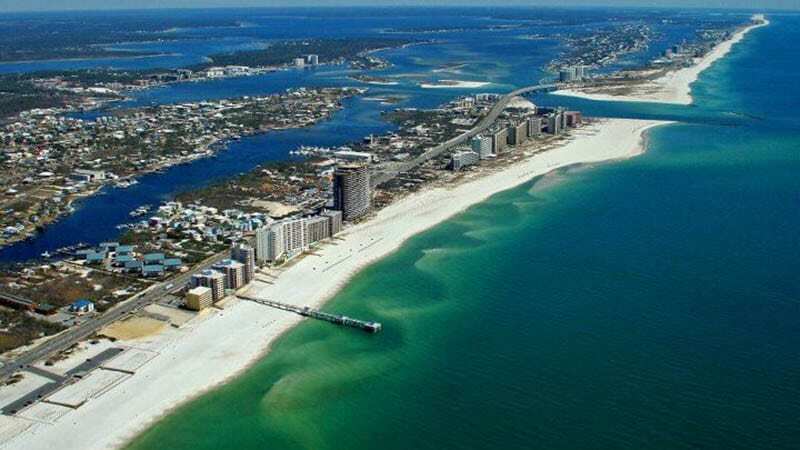 This small city of 12,000 has everything, such as beaches, golf clubs, tennis, even yacht clubs! The average cost of living is a bit higher than some cities ($70K) but with so much to offer, you can understand why. To help offset these costs, Maryland has no state tax on your Social Security income and the sales tax is only 6%. The average home sells for $284k and rent for a 2-bedroom apartment runs $1400. If you hate the heat, this is the place for you! Temps in July top out at 81 and nights are a soothing 68. Even January isn’t too bad, with average temperatures about 41/30. In addition to all the amenities the city has to offer, it has a higher number of doctors than other nearby cities, as well as a minimum of 10 hospitals. 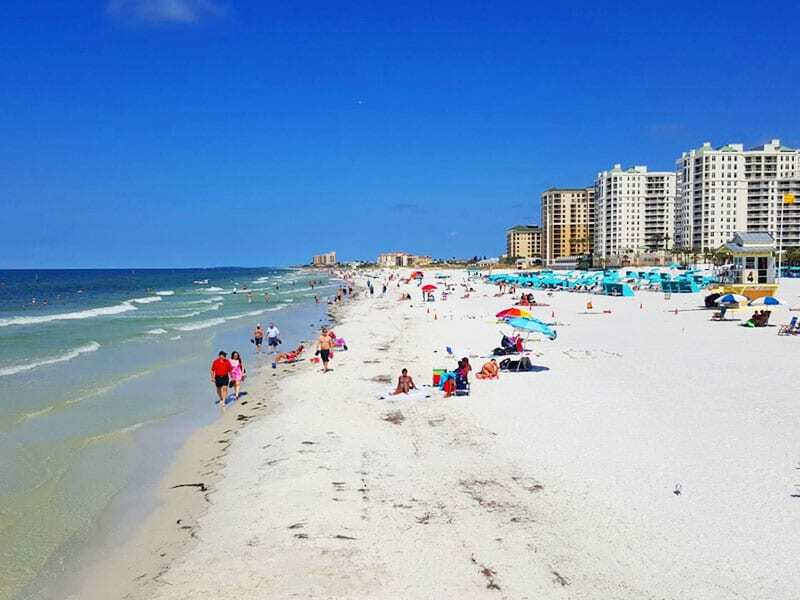 Healthcare and good times on the beach are right around the corner in this town. Now here is a city (and state) you probably never thought you would see here. Don’t knock Nebraska until you’ve been there! The average income is just shy of $60K, which makes it a bargain for a medium sized town of 280,000. At 7.25%, the tax rate is comfortable, and homes sell for an average of $175. You could opt to rent a 2-bedroom apartment, however, for $900. This city has tons of parks and historical neighborhoods that can keep your interest for years to come. The weather isn’t too bad either, if you don’t mind a bit of a range. Summers are 89/68 and January is a chilly 33/14. You will no trouble finding hospitals or healthcare facilities in a town this size. This is a small town with multiple colleges, so the nightlife is good, but the rents are low! With 120,000 residents, you can rent a two-bedroom apartment for $780 but check out the cost of living in this little beauty of a town; just under $34k! Talk about cheap! Now the tax rate is a bit higher than some at 8.47% but you can’t beat the cost of owning a house, which averages $155k. By the way, this town has more doctors than average living here, so finding healthcare close by isn’t an issue. This tree filled town will also charm you with the colorful change of seasons. Winters average 40/23 and summers top out at about 89, but nights are a comfortable 69, so sleep with the windows open! This is a small but friendly little town of about 52,000 and it’s nestled right in the breathtaking Shenandoah Valley. The cost of living here is only $40K, which is about 4% below the national average and the tax rate is a low 5.3%. 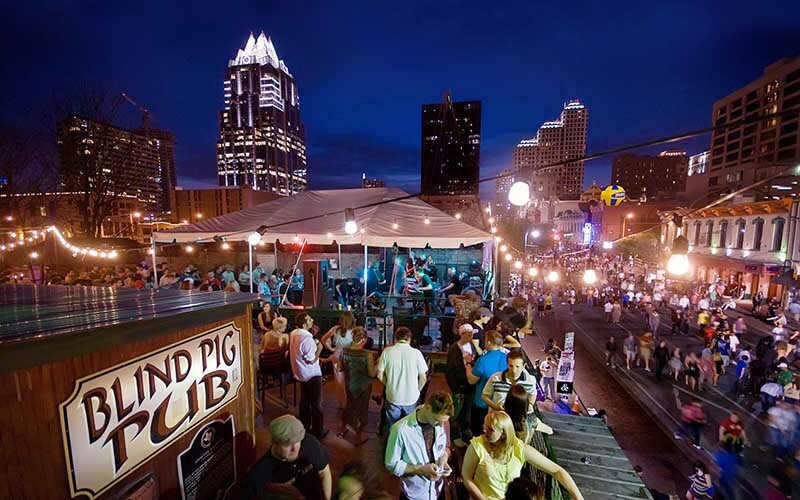 This is another college town, but not nearly as rowdy as some larger cities. You are surrounded by mountains for hiking and other outdoor activity, not to mention the beautiful Shenandoah river for picnics and fishing. This town has old fashioned style charm and grace, with a notable historic center and terrific shopping. The average house is selling for $180,000 and a 2-bedroom apartment averages $900. The weather is darn near perfect, with summers topping out at about 86/62 and winters 42/22. For a small town, Harrisonburg has plenty of hospitals and healthcare centers right in town, so you don’t have to go to the big city for treatment. Let’s be right up front and say that winters are cold, cold, cold here, but for winter sport enthusiasts, this is an ideal location. Winters average 17/1 and it’s not uncommon to go below zero. Summers are so nice, however, with July temps reaching 82/60. The cost of living is very attractive, with an annual income of about $30K and a tax rate of 7.5%, but housing is the biggest expense, with house prices averaging $225K. You can still rent a two-bedroom apartment for about $700, which is rather low. 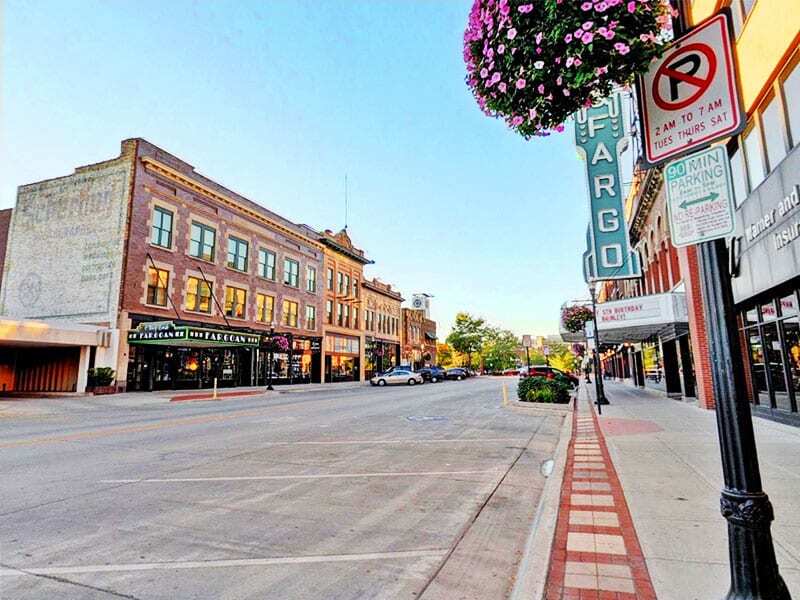 With a small-town feel, Fargo has a population of 120,000 and more than enough doctors and hospitals to go around. Fargo is the largest town in North Dakota, so if you love cold weather sports, you could move outside of town and save on housing. For those of you who might be interested in warmer temps and like living in a smaller town but with a big city feel, Grand Prairie might be up your alley. Cost of living is middle ground, about $60K and the tax rate is 8.25%. Housing for this income level is reasonable at $184K and rent for a two-bedroom apartment runs $1,000 on average. 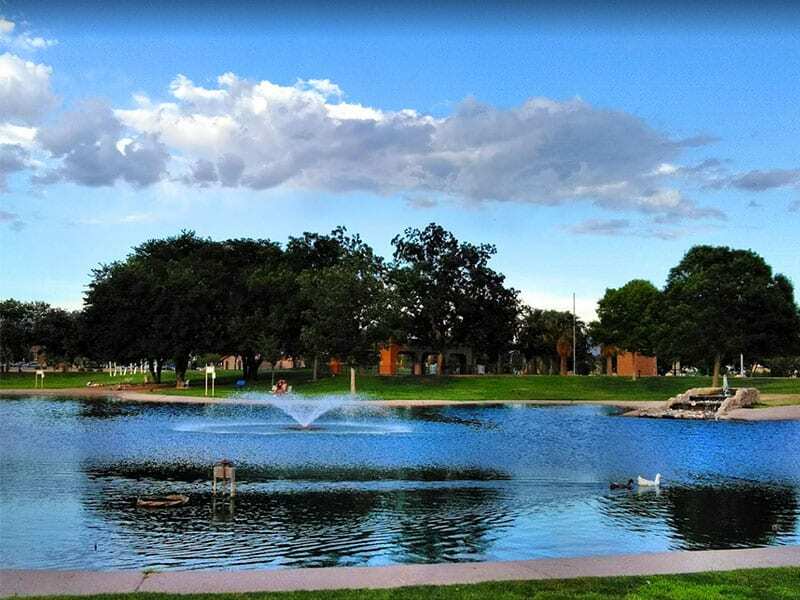 Grand Prairie is very popular with retires due to its beaches, marina, race track, public fitness centers, and parks. Yes, summers are hot and humid (96/76) and winters cold and wet (55/35) but for some reason, Mother Nature seems to spare Grand Prairie from hurricanes. You are a short 20-minute drive to the Dallas airport and there are numerous hospitals, including a woman’s specialty medical center and a trauma center. This small town of 32,000 is where many senior citizens retire to for numerous reasons. First, it has an extremely low crime rate, and there is no state inheritance or estate taxes. Cost of living here is 4% below the national average, with annual income in the $46K and a low tax rate of 6.1%. The average house is $176K and rent for a huge two-bedroom apartment with 1300 square feet for only $1200. Yes, it is hot, hot, hot in the summer, with July temps average 100, but nights cool down to 69 due to the 3,000 feet in elevation. Winters are very mild, with January temps in the 67/37 range. 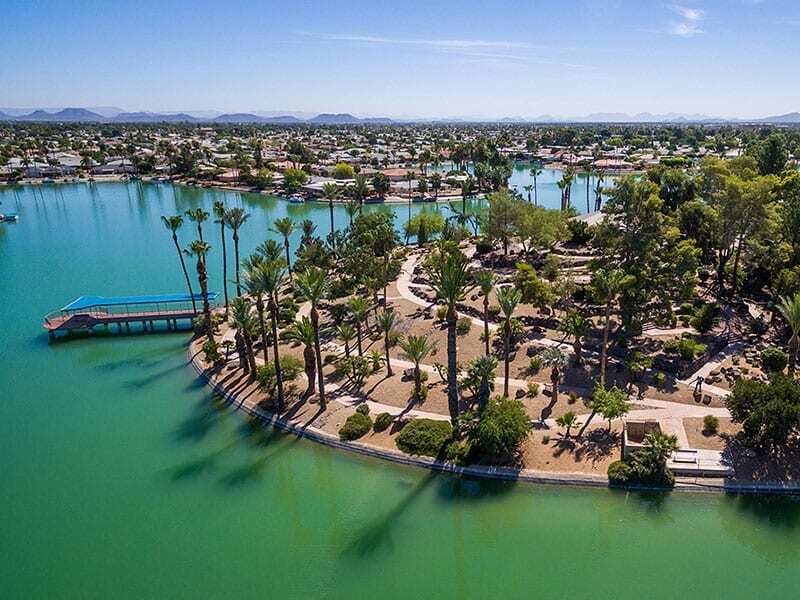 Retirees love Green Valley because it has 13 public recreations centers with gymnasiums, golf courses, swimming pools, and community get-togethers. With thousands of retirees, you can bet that all the hospitals in this city are top notch and offer easy access. 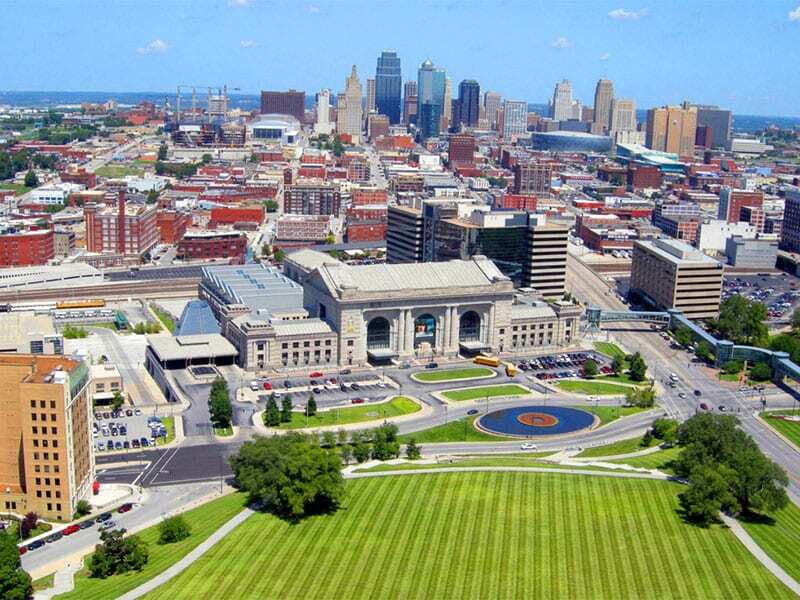 This often-overlooked city of 43,000 is in the middle between Kansas City and St. Louis and boasts a seriously low cost of living that is 10% below average. Average incomes are $49K and the tax rate is 7.72%. With the average home price only $152K and a two-bedroom apartment only $500, your money goes a lot further here. 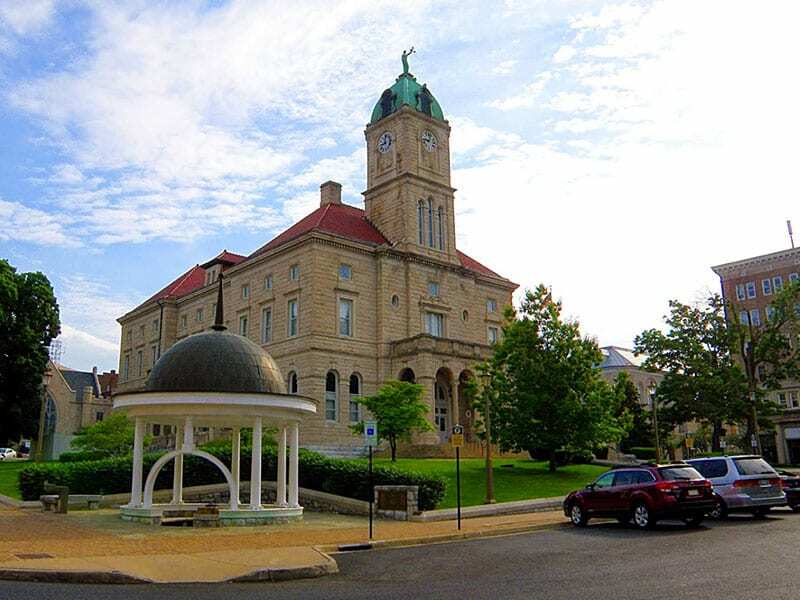 Jefferson City really knows how to treat retirees, with more than 30 retirement communities and plenty of top rated hospitals and healthcare centers. This historic town also has plenty to offer in the way of weather, with summers a warm 89/87 and winters about 40/19. You can easily afford to travel to the big cities for nightlife and weekend getaways when you retire here! This is another small town you might not have imagined would make this list, but how could it not? 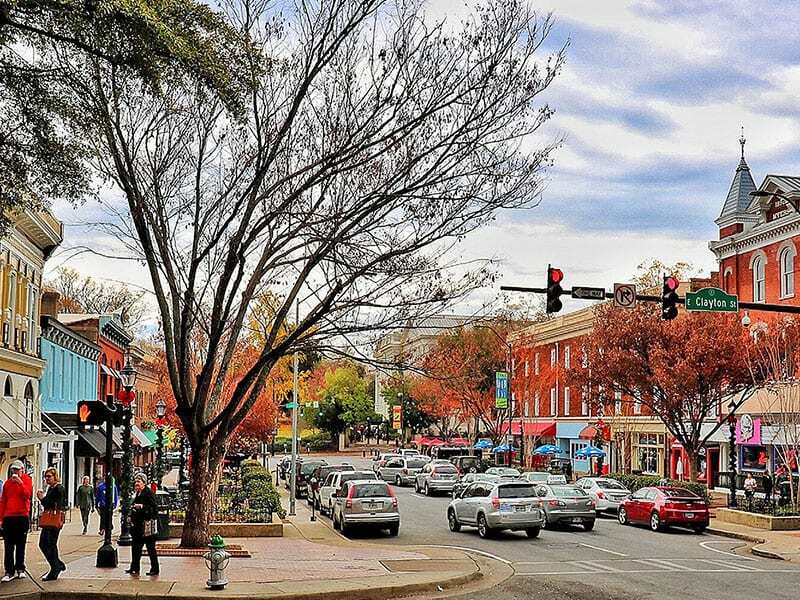 With an average cost of living of only $35K and zero tax on social security earnings, not to mention a lower state tax rate for persons living on a pension, this college town is one of the most retirement friendly places around! Did we mention that the tax rate is only 6%? Iowa City has an extremely low crime rate and good air quality, not to mention plenty of hospitals and healthcare centers. People here are known for being neighborly and volunteering is one of the most popular ways people get together here. The average house price is $204K or you could rent a two-bedroom apartment for about $980. If you like warm weather, however, this might not be the place for you. Summer temps only hit the low to mid 80’s and winter days are almost always below freezing. 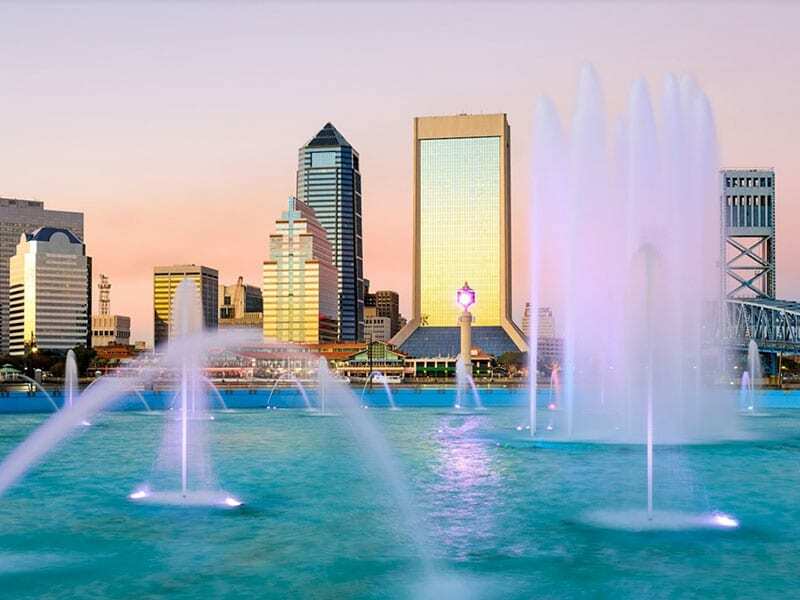 Most people think that Florida is filled with overpriced tourist or retiree spots, and although this is the largest city in Florida, it seems to be a secret. The population of 880,000 has an average income of only $25K, which is about 8% below average. Housing is affordable as well, with the average house price around $158K and rent on a two-bedroom apartment only $1100. The sales tax rate is also a reasonable 7%. Another big plus? No state income tax or estate taxes. For those interested in healthcare, as you can imagine, in a town this size, you won’t have any trouble finding a hospital or doctor close to home. Like most cities, it has a problem with crime, but it’s not due to overcrowding as this city is largest in the US, land wise. Hurricanes tend to miss this part of Florida, more often than not, but that’s not to say that it isn’t hot as…well, as only Florida can be! Temps in the summer average 92/72 with high humidity, but Jacksonville makes up for it with beautifully mild winters that have lows averaging 66/46. 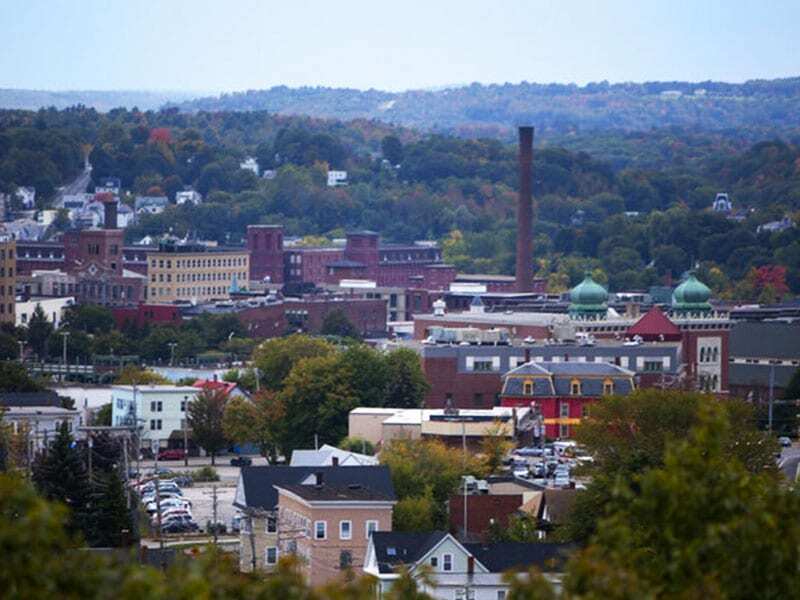 Tiny Lewiston, Maine, population 36,000, has a lot to love. 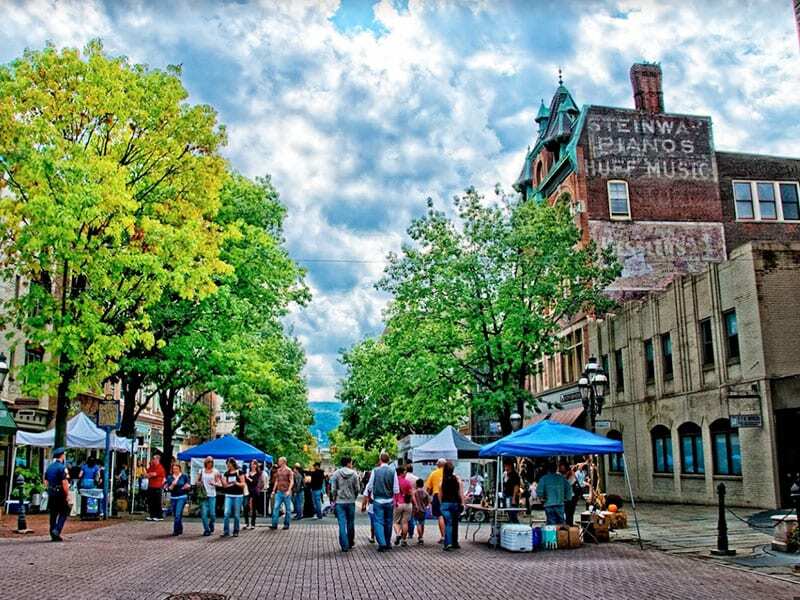 With multiple museums, the Androscoggin river, a theater, and a home-town brewery, this town might be just the place for you. Lewiston has a low crime rate, not to mention a low cost of living. Average incomes are $38K and the sales tax rate is a small 5.5%. Housing is just as reasonable, with houses averaging $141K and the average two-bedroom apartment going for $840. As you can imagine, temps are downright on the low side, with summers rarely topping 80/60 and winter days rarely coming close to even the freezing level, with January temps in the 29/11 range. There are plenty of hiking trails, bike trails, and both indoor and outdoor activities to keep seniors active and engaged. There are 3 hospitals in town, which should make at least one of them close enough to you to be convenient. It’s amusing to know that Largo was named after a lake that was later drained to build the city. 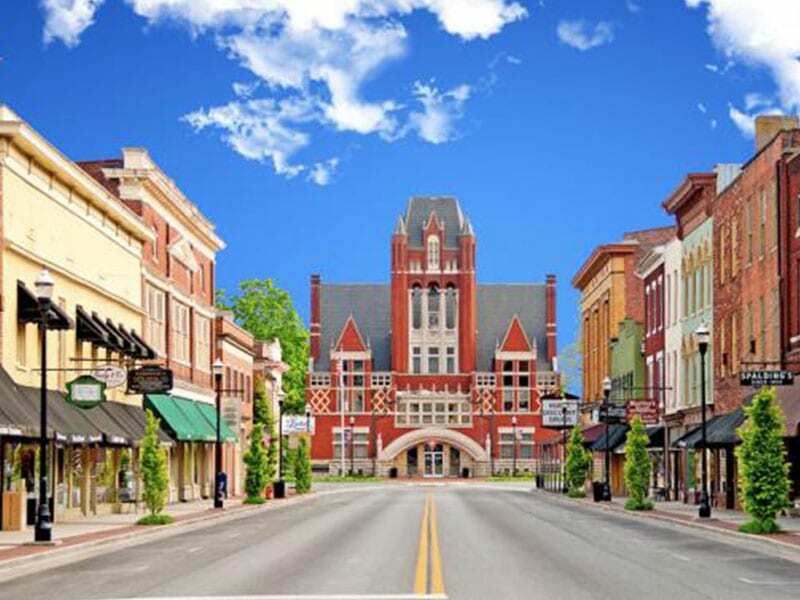 Still, this small town of 82,000 is a great place to retire, since the cost of living is 7% below the national average, while the weather is above average. For those who hate winter, Largo is the place to be since January temps rarely go below 56 at night and they remain a comfortable 66 in the day. Summers can be hot, but not as extreme as say Key Largo, with temps averaging 86/79. It’s not just the weather that makes this a terrific place to be; the cost of living is very low, with annual income only $39K. Florida has no state taxes and a decent sales tax rate of 7%. You can pick up a house here for around $185K and rent for a two-bedroom apartment is in the $1100 range for a spacious 1,000 square foot pad. There are 3 local hospitals and plenty more in nearby towns that are very close. 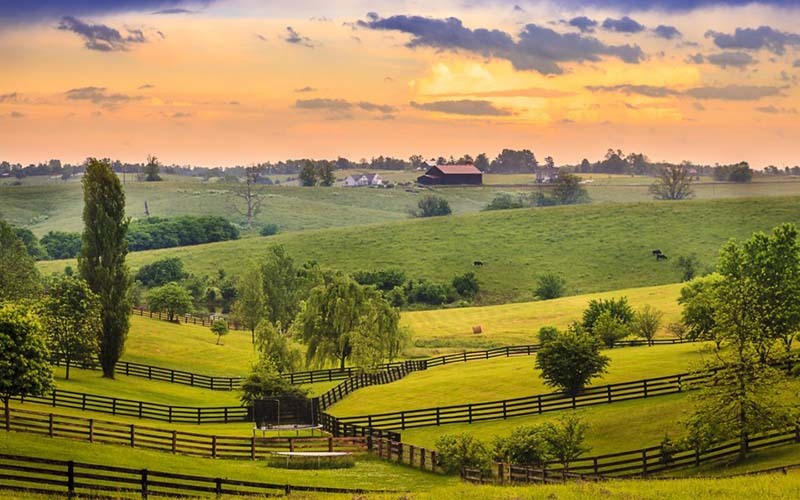 Beautiful Kentucky, land of whiskey and horses! 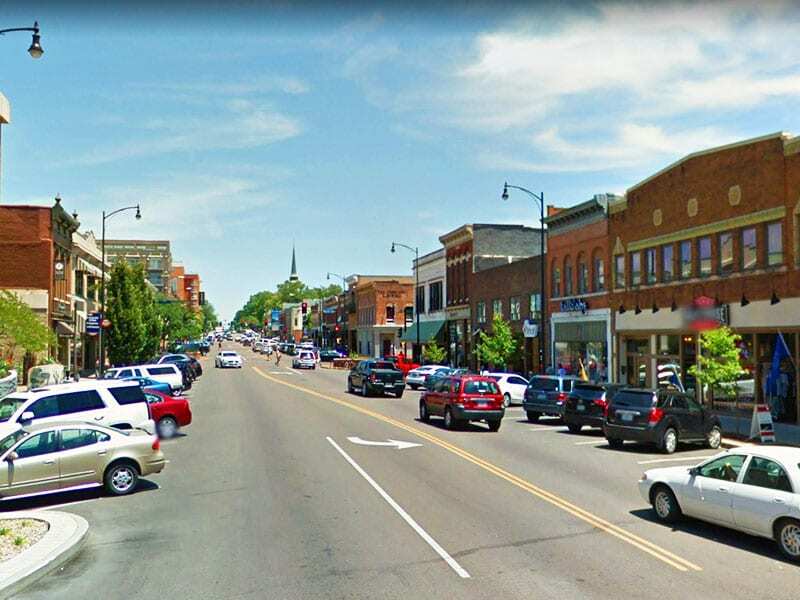 This is a college town that is medium in size, with a population of 318,000. It is quickly becoming one of the top spots for retirees due to good air quality, a low crime rate, no state taxes social security earnings and a tax break on pensions! The cost of living is good here, with average incomes only hitting $29K, making it 8% below average. The average house will set you back only $169K, with the standard 2-bedroom apartment going for $889. 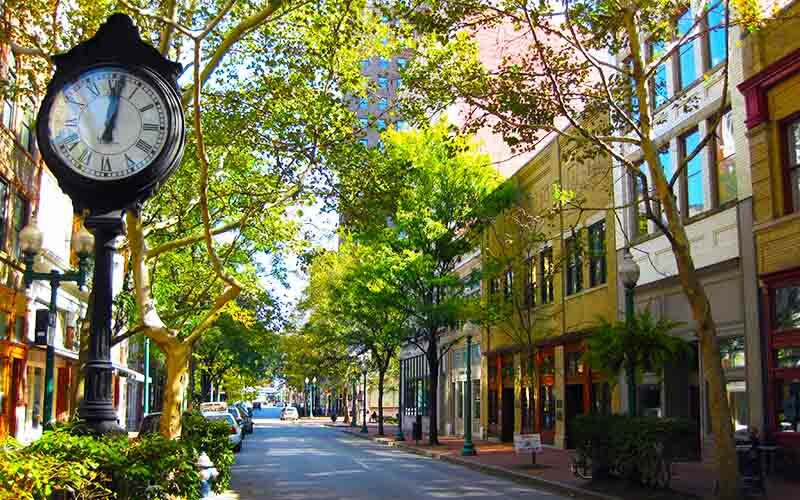 Lexington get high marks for the volunteerism attitude of the community, plenty of walking friendly areas, bike paths, and a moderate climate. Temps in July average 86/66 and even winter is a reasonable 40/24. Perhaps the only drawback is that there are only two hospitals in town currently. Time to get our Rocky Mountain High on! While Colorado Springs might be the second largest city in the state with 415K residents, the surrounding mountains makes it feel much smaller. The cost of living is reasonable at $55K and the sales tax is 8.25%. Housing seems to be the biggest cost, with the average house about $276K. You can still rent a two-bedroom apartment for only $1200. 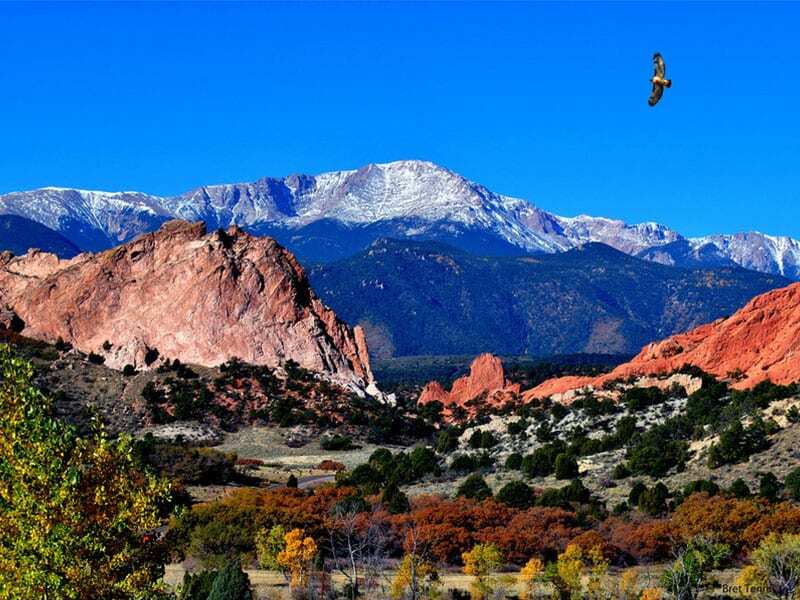 Colorado Springs gets high marks for its breathtaking scenery and change of seasons. Temps in summer are a super 85/57, which means sleeping with the windows open! Winters can be snowy and cold, with January temps in the low 40’s and only 17 at night, but how can you have spring flowers without snow? Regardless of what you like, summer activities or winter fun, you can have it here. There are also two hospitals in town and numerous other healthcare centers, so you probably won’t have issues getting quality health care. Did we mention that recreational use of marijuana is legal in Colorado? While not perfect, we think Sun City, Arizona, comes darn close. The cost of living has got to be one of the strong points for this city at $32K. This makes it 9% below the national average. This suburb of Phoenix has a small population of 40,000 and it seems that there are more doctors than patients! The state sales tax is only 6.3% and better still, there are no state taxes, no taxes on social security and no state inheritance taxes! Housing is very reasonable, with the average house going for $164K and rent on a two-bedroom apartment only $1,100. Sun City is the country’s first community planned around retirees, so there’s always something to do and something just for you! Ok, except for skiing. Let’s face it, it’s downright hot in the summer, with July temps hitting 106 and even nighttime temps in the low 80’s. Winters are so nice, though, averaging 67/41. There is a low rate of crime, but the air quality isn’t always the best in the summer, due to big city Phoenix next door, and if you don’t like it hot, this obviously won’t be your cup of tea. 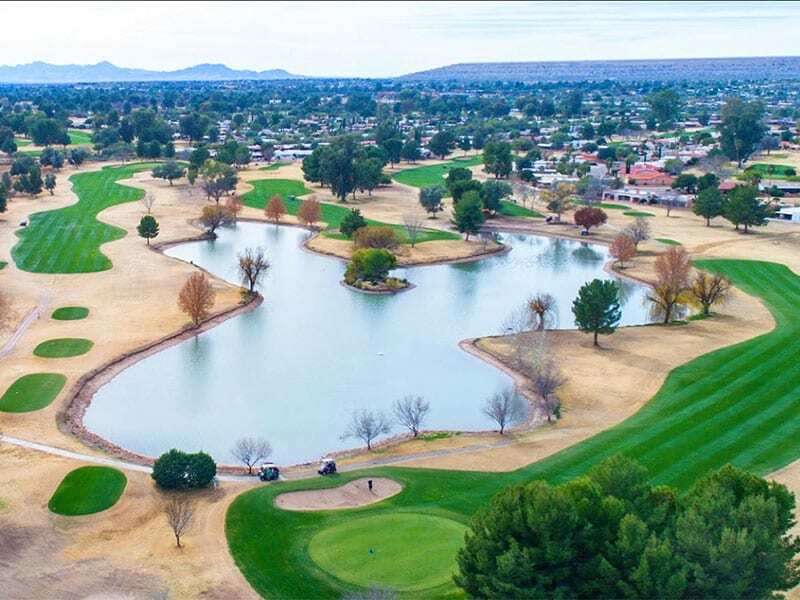 However, with numerous golf courses, shopping malls, activity centers for seniors, a low cost of living and even lower taxes, Sun City is a great place to retire for those who want to stay warm and stay active! Thanks To Our Readers! Thanks to some extremely valuable feedback from our readers, we have added two bonus cities to our list of the best budget friendly places to retire. Check them out below! As we head on down south, we must stop at this small town (population 16,000) of Clemson, South Carolina, where the cost of living is easy with an average income of $37K and taxes are a reasonable 7%. 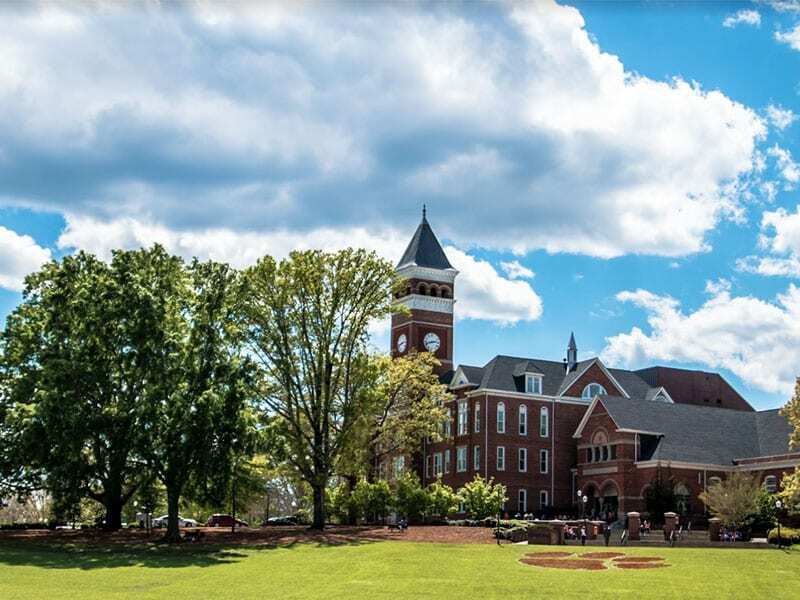 This city is home to the popular Clemson Tigers football team, which gets loud during the school year, so rent can vary, depending on which part of town you live in. We found average rents for 2-bedroom apartments in the $1,000-$1300 and the average housing price of about $200K. The climate here is a beauty, with average summertime temps in the upper 80s, but a cool 65 in the evening for easy sleeping. Winters aren’t too bad, either, averaging 52/31 in January. There is only 1 main hospital in Clemson, but plenty just a few miles away in other towns, such as Greenville. Bella Vista means Beautiful view in Spanish and this town is appropriately named. 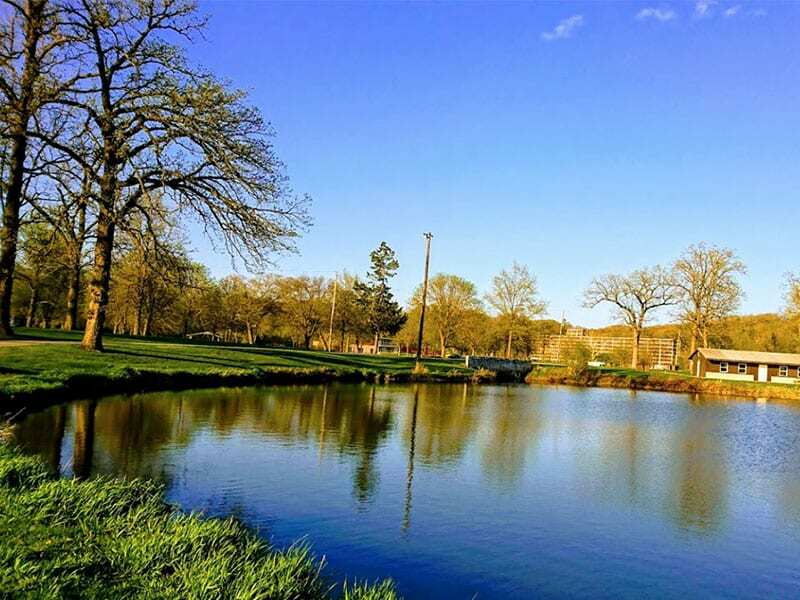 Surrounded by hardwood forest, waterfalls, 7 lakes, and numerous nature trails, this is the perfect place for active retirees who love the outdoors. With only 27,000 residents, you can be as social or reclusive as you like. This town also has golf courses, public swimming pools, and tennis courts! The cost of living here is a very nice $62K, which means beautiful surroundings, but it might cost you a bit more than other places. Bella Vista has only 28,000 residents, who enjoy a tax rate of 7.5%. The average home sells for $165K and renting a two-bedroom apartment will set you back about $1000. The weather is also pretty good for this small town, with July temps running about 89/69 and January temps dipping down to 48/28. There are 7 hospitals and even more medical centers, so healthcare is as easy to find as the nearest golf course.